Reviewed on PC, copy supplied by publisher. When I say that Yonder is mild, it’s not meant as an insult. Sometimes mild is what you want, and mild is definitely what you get with Yonder: The Cloud Catcher Chronicles. It’s the vegetable korma of the gaming world. 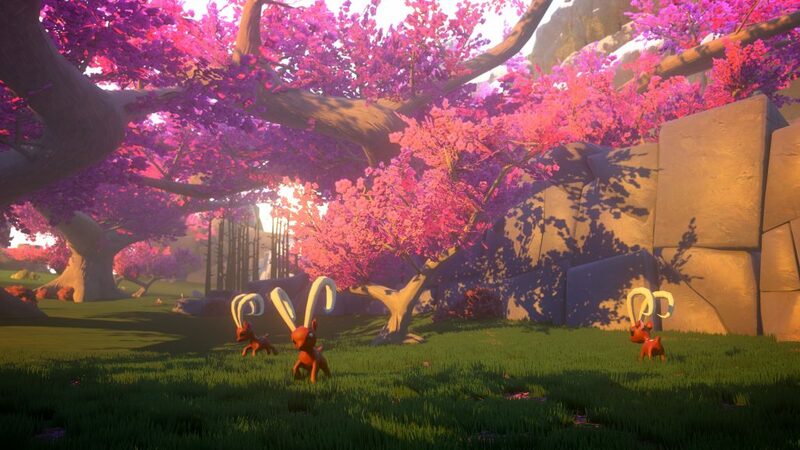 The game is a whimsical experience where you check out bold fantasy settings filled with creative lore and creatures. At its core Yonder is a relaxing experience, yet it’s one that fails to meet the high bar set by its evident influences. Not a bokoblin in sight. 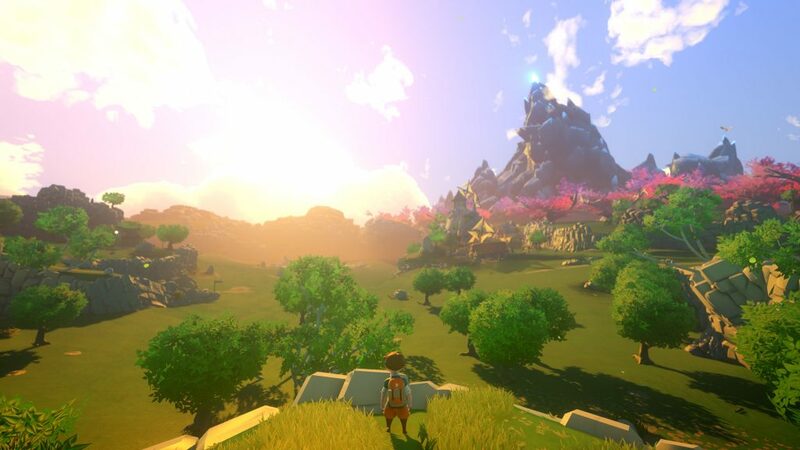 Created by Brisbane based Prideful Sloth, Yonder is the three-person team’s first title, drawing influence from games like Zelda and Harvest Moon. As a pacifist title, there is a heavy influence of exploring and interacting with the world, with a narrative backbone tying it all together. The land of Gamea is infected with Murk, which can be lifted as you progress by collecting Sprites and discovering more about what caused the mysterious calamity, uncovering your family history along the way. That tree puts Gondor to shame. The story itself is fine, but it’s impacted by one of the title’s major flaws, it’s all a bit boring. Instead of focusing more on free-form exploration and farming – such as in Harvest Moon and Stardew Valley – the core gameplay consists of rolling gather quests, where you have to travel to X location, pick up X items, come back, repeat. If you don’t rush to do the task at hand you will collect a massive chore list of gather quests, making future gameplay seem bleak and uninspired. This monotonous train of activities takes some of the sting out of the admittedly gorgeous setting. Were you able to just create your own farm and interact with the world at your leisure accompanied by one overarching narrative, things would seem a lot less restricted and rigid. You can still start a farm, but it’s definitely more of an aside than a focus. Three more of these and I can get some more story… yay! This may seem like a game ruining gripe, but depending on your mood, it can work wonders. As I said earlier, sometimes you just want to strap yourself in and embrace the mild. 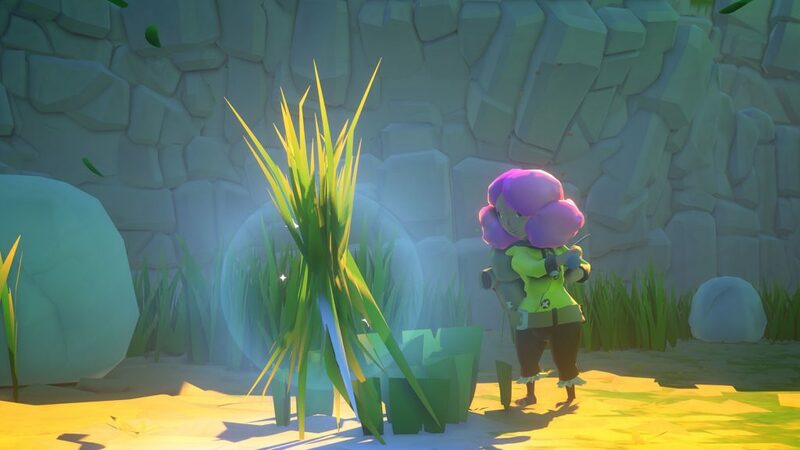 For me, Yonder really comes into its own if you multitask. Putting on some music or listening to a podcast whilst playing makes the gameplay feel less overbearing. It’s the sort of game you can just veg out and experience, with no real higher thinking required. If you’re turning your nose up at that suggestion, Yonder probably isn’t the game for you. 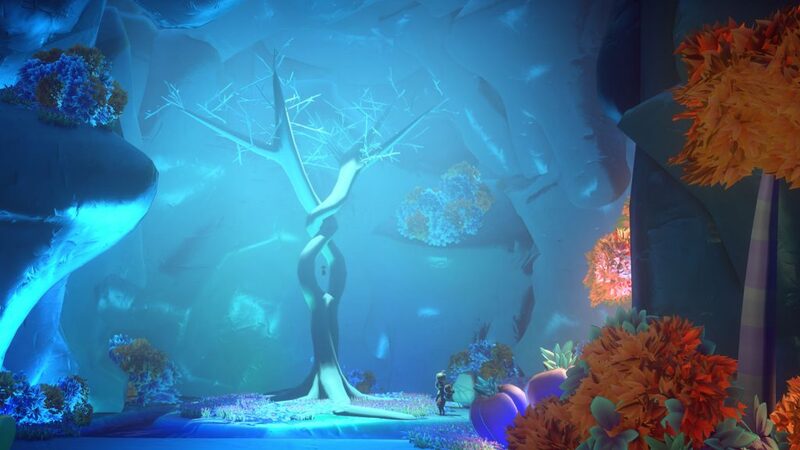 Each diverse biome is well crafted, with a range of new activities, plants and animals to experience in each. It’s genuinely fun encountering new creatures and adding them to your farm, but the impact of doing so is more for your own collection than any in-game necessity. Other tasks such as mining, chopping trees and fishing are all fun, but not a single one could be considered challenging. Nice goat things, I’ll take them! Throughout your explorations the setting is elevated by a solid orchestral soundtrack and cutesy sound effects, but some questionable choices in voice acting may make you want to reach for the mute button. Unfortunately, Yonder uses the played out grunts for speech method, where onscreen text is accompanied by questionable guttural noises. It’s a bit of a throwback, and at times it just sounds wrong. Occasionally female villagers will belch/grunt like they’ve just eaten four service station pies washed down with VB, it’s not pleasant to hear. 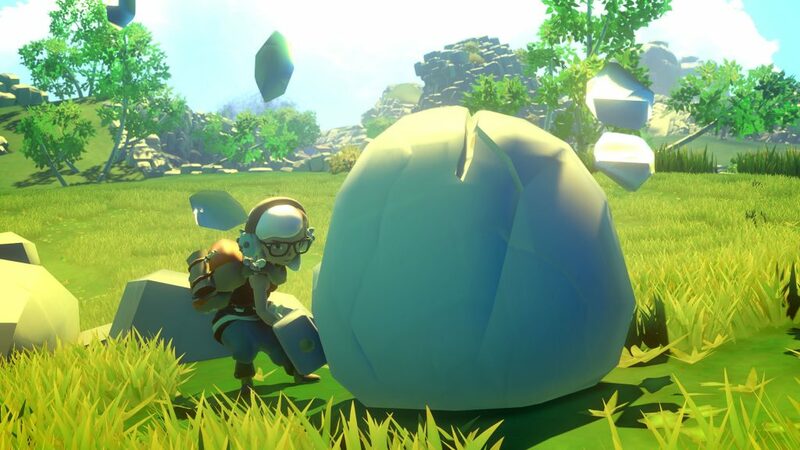 Overall Yonder comes across as a unique title, but still one that won’t be for everyone. The monotony and ultimately unrewarding nature make it suited for those who just want to experience something not entirely meaningful, yet still original in its own way. Yonder is now available on PC and PS4. Yonder: The Cloud Catcher Chronicles is overflowing with originality, bold colour palettes and cutesy designs, but it still fails to leave an overall impact. It's definitely best experienced when you want to veg out and look at some nice settings and adorable animals. It's not a must-play game in my books, but it's also not one to completely avoid. Overall a strong first entry from Prideful Sloth, we look forward to seeing what they do next. Look over Yonder with Charlie on Twitter @clbraith and don’t forget to follow @load_screen and like us on Facebook.